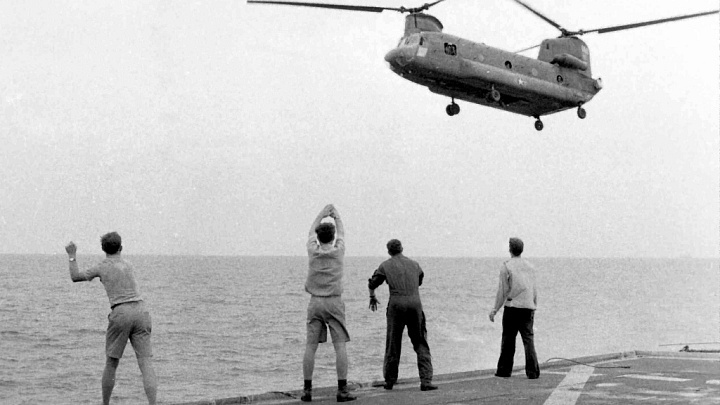 I was aboard one of the last helicopters out of Vietnam in late April 1975. Having covered the wars in Vietnam and Cambodia for The Christian Science Monitor in the early 1970s and worked for UPI in Vietnam for several years before that, I was not surprised that a new documentary on Vietnam would engulf me with a flood of memories, some of which I wish I could erase from my mind. Last Days in Vietnam, by filmmaker Rory Kennedy (Ghosts of Abu Ghraib, Ethel), chronicles some of the personal stories behind the 1975 evacuation of Saigon. As a witness to the event, I should make my biases and experience clear from the start. I did not buy the idea that the Communists would bring a bloodbath to South Vietnam, as one rumor had it. But I did feel that many South Vietnamese would be treated badly under the new regime. So I spent my last few days in Saigon trying to arrange for several Vietnamese whom I’d known to get onto military or civilian airplanes while they were still flying, or onto one of those U.S. Marine helicopters that arrived near the very end. I had lived in Vietnam long enough to sympathize with many of the South Vietnamese who I knew were caught in a trap, surrounded by a North Vietnamese Army that was rapidly closing in. I understood the fears of some and the naïve hopes of others. I was able, at the last minute, to arrange for a former high-ranking Vietnamese official to get out. He would likely have died a slow death in a “re-education camp” if he hadn’t escaped. I also helped a Vietnamese university professor to escape on the last day of the war after he called to me through the fence surrounding the U.S. Embassy. But I was less successful with others whom I knew. I advised my Vietnamese teacher to stay because I felt the new regime would have nothing against her and because her mother needed her. 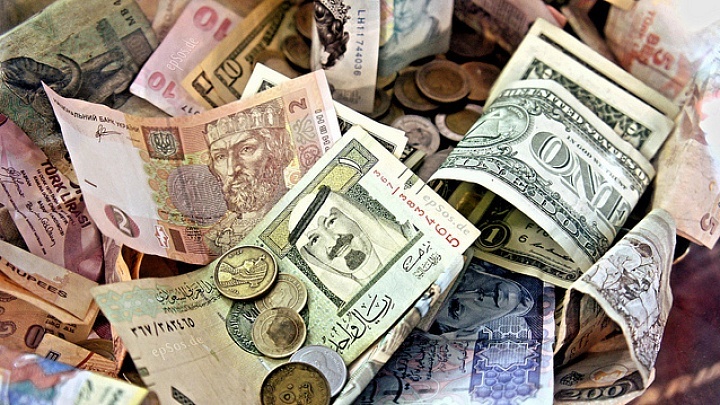 But I failed to convince an interpreter who I had worked with to leave, because he was convinced that no one would punish him since he was relatively poor. So a film about rescue efforts aimed at getting as many Americans and South Vietnamese out was bound to appeal to me. And I should add that I knew one U.S. official who took leave and returned on his own to Saigon, against U.S. State Department rules, in order to help with last-minute rescue efforts. I remember an embassy official who drove a bus through the streets of Saigon picking up endangered Vietnamese up until the end. But does the documentary add substantially to what we already know about the rescues, many of which were conducted under hazardous conditions? These rescue efforts, as well as the problematic behavior of Graham Martin, the U.S. ambassador in Saigon at the time, have already been well documented in books. “Last Days in Vietnam” provides no startling revelations regarding these events. The film carries an implicit message: Whenever we engage in a war, we have a responsibility to those who face mortal danger if they are left behind. But it does succeed in humanizing the story through interviews with many of the American participants and with some of the Vietnamese who either got out or were left behind. The scenes of the chaos at the U.S. embassy in Saigon during the final 24 hours of the war—vividly recreated through film clips and interviews with American officials, U.S. Marines guards, helicopter pilots, and several Vietnamese—ring true to me because I was there. Ambassador Martin was reluctant to acknowledge that after the rapid collapse of the South Vietnamese Army in several provincial capitals, including Da Nang on March 30, 1975, the fall of Saigon had become inevitable. As a result, a number of embassy officials, realizing Martin would not approve, began secretly smuggling out of the country Americans and Vietnamese who might be endangered. Martin did not fully acknowledge the truth until the last hours of the last day of the war after seeing for himself that planes and helicopters could no longer land at Tan Son Nhut airport because of North Vietnamese shelling. Martin also feared that an early public acknowledgement of exit plans for Americans would create widespread panic among South Vietnamese that would obstruct evacuation operations. But panic had already swept much of the country, including Saigon. I was impressed with how well the film captured the U.S. Navy’s efforts to get thousands of Vietnamese refugees on board South Vietnamese Navy ships and out to sea. It certainly filled many gaps in my knowledge. I also didn’t know until now the full story of the challenges facing the USS Kirk, an American warship that became a destination for overloaded Vietnamese helicopters carrying pilots fleeing the country with their families on board. In one of the most dramatic scenes in the film, a Vietnamese pilot flying his family and others to safety in a CH-47 Chinook helicopter, hovers over the fantail of the Kirk and unloads men, women, children, and a one-year-old baby as well as his crew into the arms of the Kirk’s crewmen. He then rolls the chopper on its right side and safely dives out the door into the sea. The film also tells the story of Richard Armitage, then a 30-year-old adviser to the Vietnamese Navy, who was later to hold senior State and Defense Department positions in the Reagan and Bush administrations. Armitage worked closely with the commander of the Kirk and other naval officers to get some 30 South Vietnamese Navy ships, as well as dozens of fishing boats and cargo vessels, packed with refugees moving away from Vietnam. National Public Radio, in its own report of the USS Kirk, cites records showing that as many as 30,000 people had been jammed aboard these ships. Some ships couldn’t budge and were towed by others. Others were taking on water. It was a miracle they made it, with U.S. aid, to the Philippines, more than a thousand miles east of Vietnam. Ambassador Martin, who didn’t want to give up the fight and in the end tried to extend the evacuation in order to get as many South Vietnamese out as possible, is treated fairly. Henry Kissinger, in my view, who is briefly quoted, is treated perhaps too fairly. It was Kissinger who negotiated the flawed peace agreement in 1973 guaranteeing the North Vietnamese a post-ceasefire presence in South Vietnam. President Gerald Ford gets credit for recognizing—once he was fully informed but very late in the game—that the U.S. needed to evacuate South Vietnamese who had worked closely with the U.S. during the war. Every U.S. embassy has a standard evacuation plan. But the one in Saigon didn’t provide for the evacuation of Vietnamese who worked closely with the Americans. The film does carry an implicit message, conveyed by its filmmaker in a recent interview: Whenever we engage in a war, we have a responsibility to those who face mortal danger if they are left behind. Dan Southerland is the executive editor of Radio Free Asia. He spent nearly two decades as a foreign correspondent in Asia, based in Tokyo, Saigon, Hong Kong, and Beijing, and was The Washington Post’s bureau chief in Beijing from 1985-90, covering the Tiananmen crackdown in 1989.